Leishmans, Chalkies and/or Boulder Hill. 12. 21/6/2017. Trampers. Chalkies Circuit. Leader: Arthur. A good frost began the day, which was also the shortest day of the year. 13 Trampers turned up at the car park, from where we travelled in 4 cars up “Silver-Stream Valley” road to park near the beginning of what used to be called “Leishmans Track”. DoC have renamed it as “Chalkies Circuit Track”, with no mention of “Leishmans” any more. The track was very wet and muddy to begin with, drops of water were falling from the tree canopy – presumably from the thawing frost. …and weir of the long dis-used water supply going to Mosgiel from Leishmans Creek. We had to cross the creek several times, and also negotiate some steep slippery steps, eventually coming to “The Rope“. The rope was essential as the track going steeply up here was very wet, muddy and slippery. All of the group made it up safely, and I was assured that it had been fun, (no, I’m not joking). We continued on for another 10 minutes or so, until above the steepest part, before stopping for morning tea. The track was drier, mostly, now as we proceeded uphill, ever uphill. 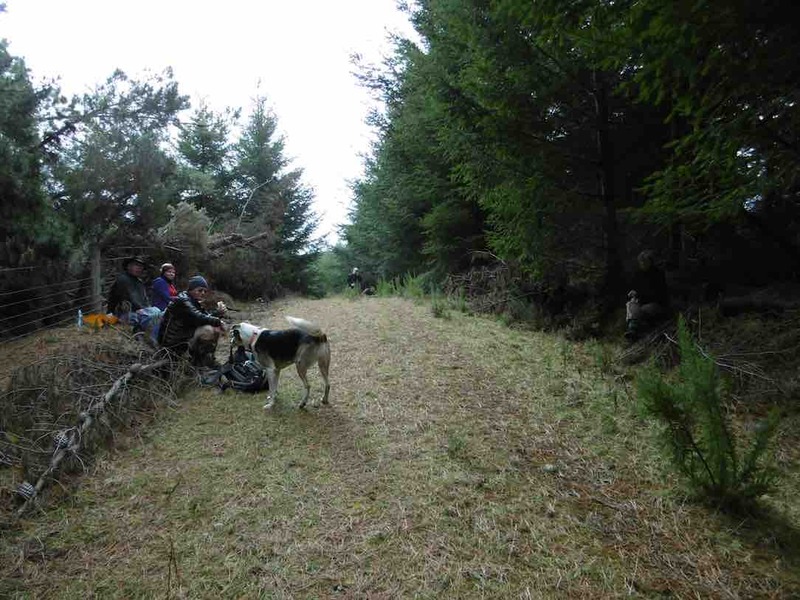 Speaking of the track, the whole circuit had been attended to very recently by The Green Hut Track Clearing Group, who had made an excellent job. Thanks, chaps, well done. 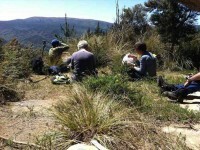 We made it out onto the summit of Powder Hill (altitude 525 metres) in time to have our lunch at the “trig”. Good views in many directions; to Saddle Hill; some snow on the Rock and Pillar. Pulpit Rock was quite prominent too. A smoke haze covered the whole of the Taieri Plain indicating an “inversion”, it being very thick over Mosgiel. 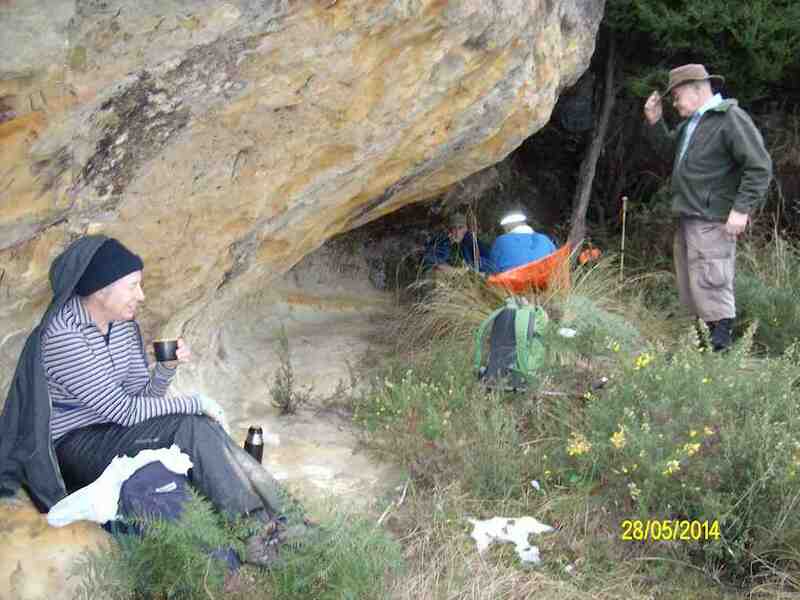 We continued our tramp, downhill now, stopping to inspect the limestone outcrops of “The Chalkies”, for a few minutes. Further down we were lucky enough to see a pair of South Island Robins. They were aware of our group (quietly) watching them feeding on the forest floor only 2 or 3 metres away, but weren’t bothered by us. Out of the bush, and down the private road, after a time we came to the ford by the pumphouse. From there it was down the still frozen road to the cars, having covered 8 km doing the circuit. Back to Mosgiel, the smoke haze was extremely bad as we drove down Factory Road and Bush Road on our way to “Wals“. 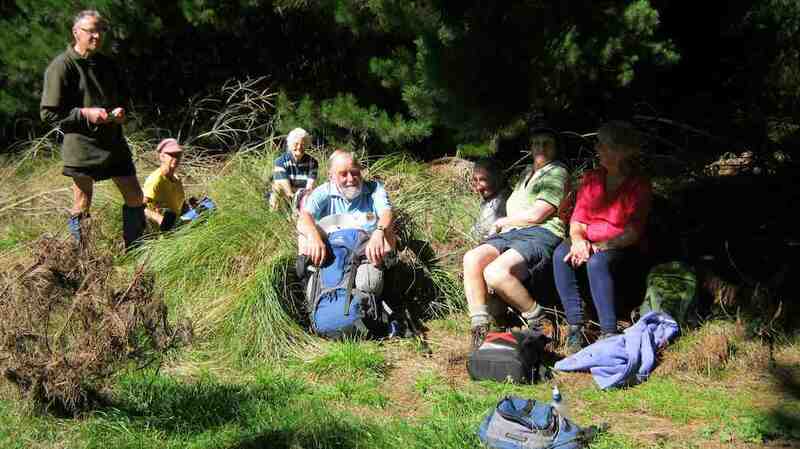 It had been a very happy group out today, and all had obviously enjoyed the day’s exercise. It was also pleasing to see the numbers of our group growing. Thanks to all. – Art. 11. 26/8/2015. Trampers. Leishmans, Chalkies. 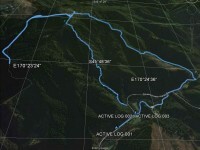 GPS of route, courtesy Ken. Leishmans Long Ridge Chalkies. 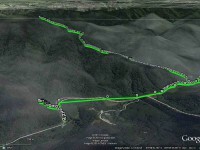 (Ken caption) Walked 11km; ave 3.4km/h; 3h 15m moving; climbed 730m; max 532m. Todays tramp was different to what was in the program due to a problem getting permission for the farm walk we were supposed to do. 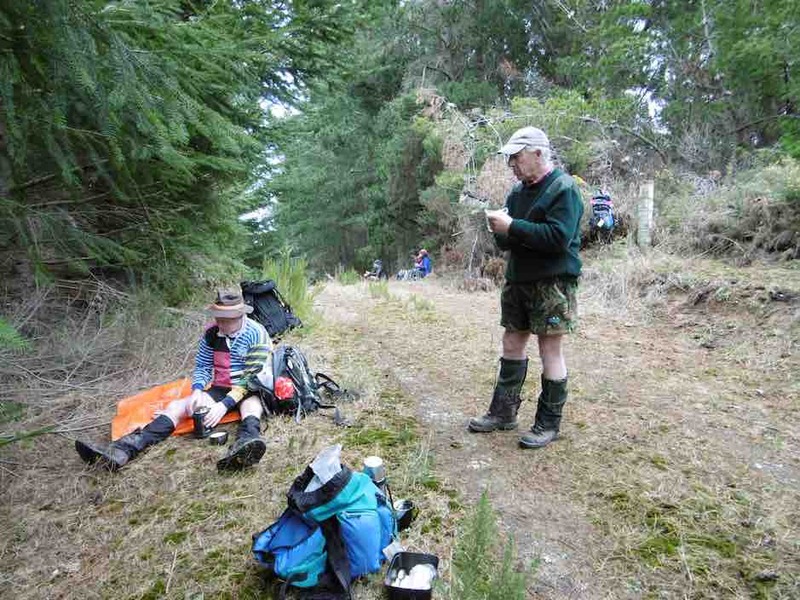 So we set off for Leishmans track in the Silverstream valley, which not many of the 7 trampers on the day had done before. This turned out to be quite a grunty climb to get up on the top of the ridge, & it was slow going with very slippery conditions underfoot. One member only got about 2 hundred meters into the track when he sat down in the first creek crossing, not a good start to the day !!! It was just past here that the track got steep as it wound it’s way up the hillside. 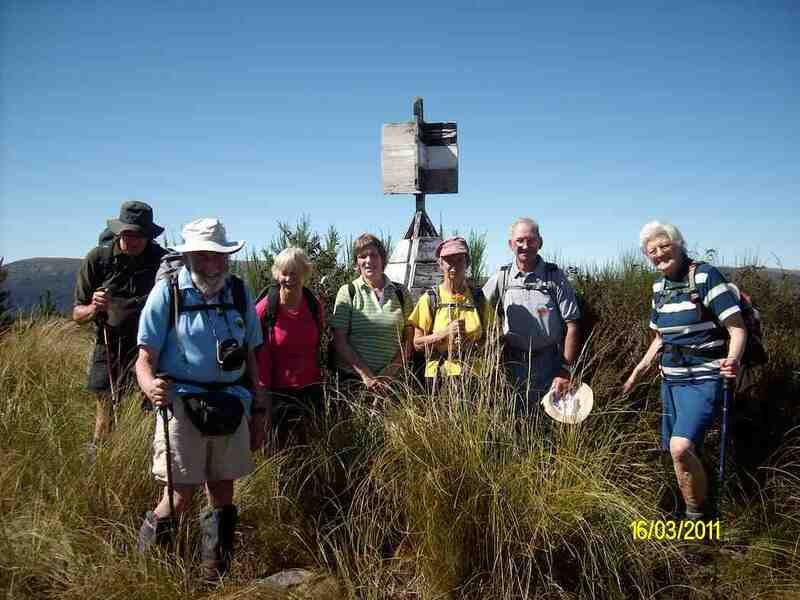 After a few rest stops we eventually made it up into the flax & tussock area at the ridge top, & we made a short detour to see where the trig at the top of Chalkies track was, just to get our bearings. Then it was off along the 4WD track to try & find how to get onto Long Ridge. 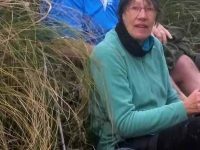 We failed in this, so turned around & walked back down the road past the turn off to Leishmans, & away down heading in what seemed the direction of the Taieri. We eventually came across a track junction that I recognised from a few years back when a friend & I were in that area looking for deer. After a short stop here we again turned around, & went back to the entrance of the Leishmans track, along here till the turn off to the trig at the top of Chalkies, & down here to the lookout area where we had quite a long break. 10. 28/5/2014. Trampers. Leishmans, Chalkies. We started off to go up Leishmans, & down Chalkies tracks, however, when we got to the Silverstream Rd, there was a ROAD CLOSED sign up, not a good start !! We drove up to the start of Leishmans where there was a track closed sign up saying ‘Closed for Maintenance’ — so what to do?? We walked up the track to see what was happening, & soon came across the problem, it was a real mess with trees down across it & virtually impassable, so we retraced our steps back to the road. Here we decided to go & have a look at Chalkies track, so we drove up the road to the car park at the pump house, where we could hear logging operations going on in the Chalkies area. We decided to go & have a look anyway, so as the stream was running a bit high we went the long way around, & came back down the road to get to the bottom of the Chalkies road, which was a quagmire for it’s full length due to the forestry operations. 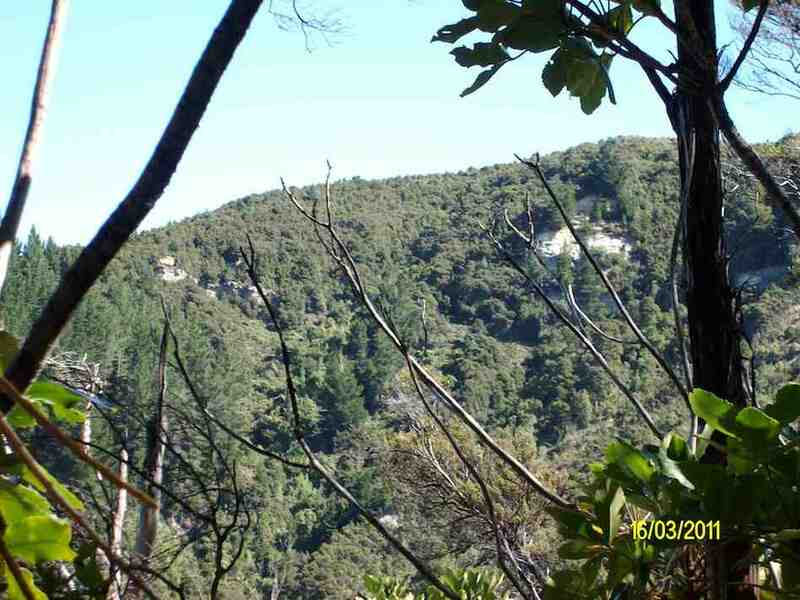 All of the forest on the LH side going up is gone, & the track up to where you turn off onto the bush track has been dozed, & is very muddy & rough. 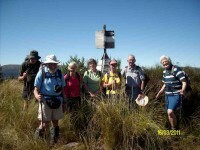 It was a pleasure to get onto the bush track, but it doesn’t get any less steep as time goes on !! 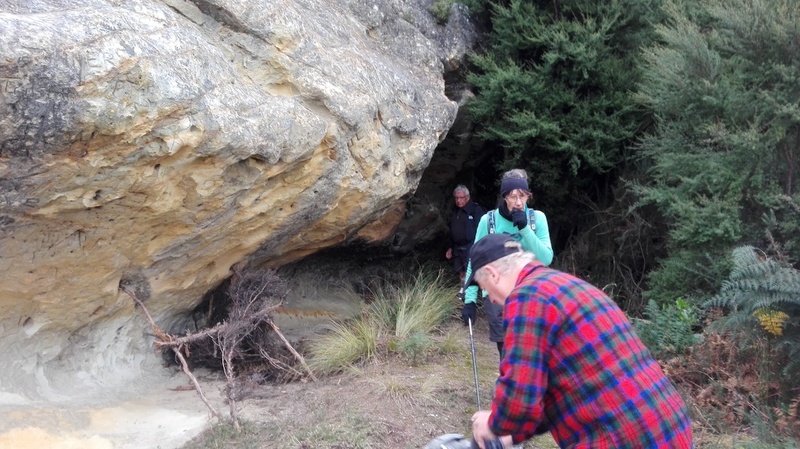 As we had taken loppers with us, we did some track clearing on the way up, which helped to fill in the day. 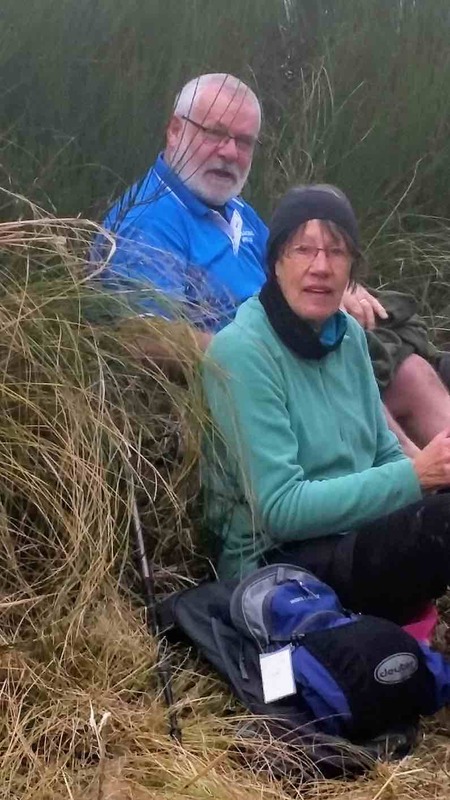 At the junction to the Chalkies ledge, we dumped our packs, & worked our way to the top where the spear grass started to appear, & we could see the trig on Powder Hill about 3 – 4 hundred meters away. … after which we walked & slid our way out to the cars, this time crossing the stream to wash some of the mud off our boots, with some getting wet feet for their trouble. – Ken. 9. 16/11/2011. Trampers. Leishmans, Chalkies. 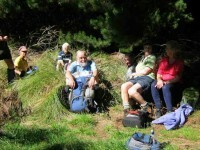 Seven of us did the shorter 7 km tramp up Leishmans, down Chalkies. 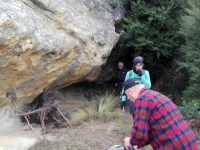 We entered in past the weir and old Mosgiel water supply holding tank and negotiated our way to the small bluff at the foot of the ridge. We were surprised to find a sturdy new rope. So, ‘plus ca change plus c’est la meme chose’. First the old rope. Then the ropeless period after its removal. Now a new one. Well, bravo, anyway. Safe and reassuring. 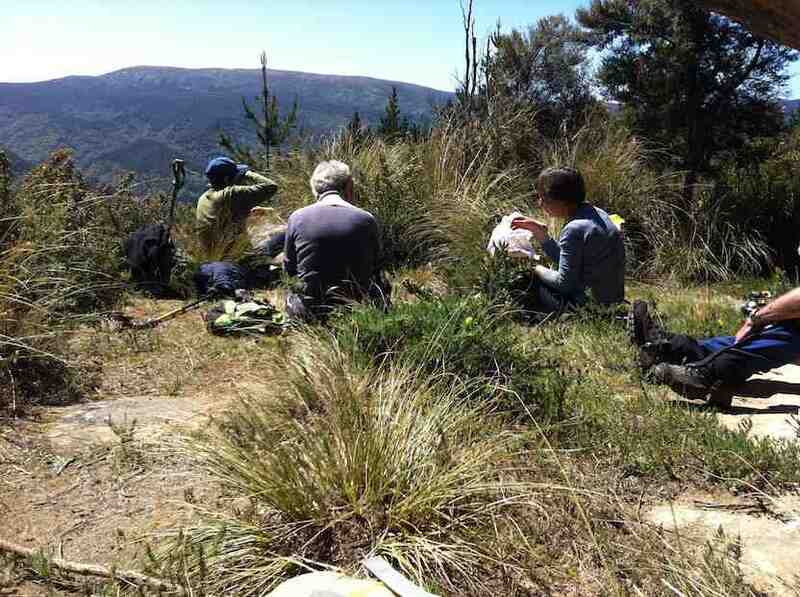 Morning tea on the only plateau on Leishman track. 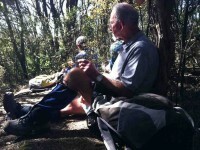 At the tea stop, we met a wonderful man, coming the other way, who uses enforced leisure to keep his adopted track clear. 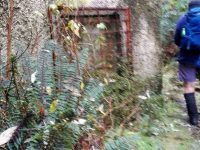 A great relief, as on previous tramps we have found the Leishman always overgrown. Out at the top, we forewent pushing on to Boulder Hill and struck across to a leisurely 11.30 a.m. lunch at the Chalkies’ bivvy ledge. 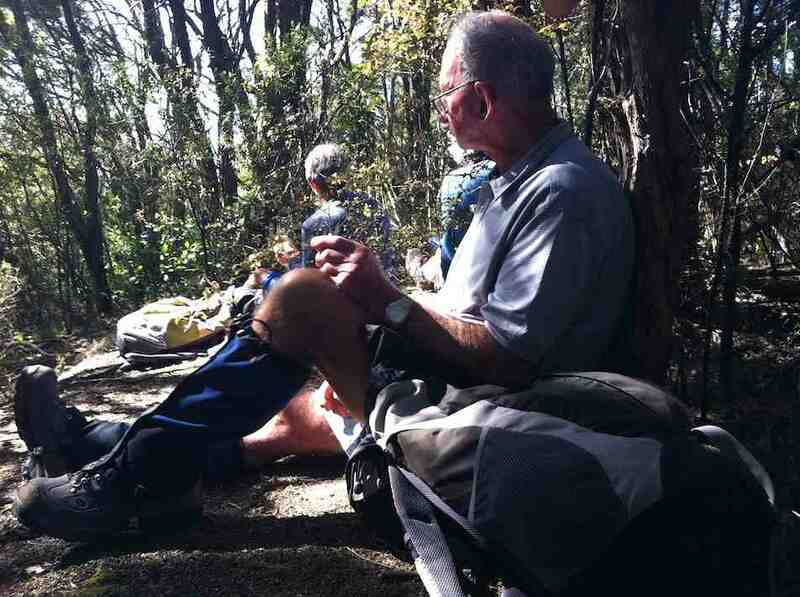 Lunch on Chalkies bivvy ledge overlook Dodds Gully. Eventually we reluctantly stirred ourselves to retrace our steps back up, and over and over the top of Dodds Gully to descend its true left ridge. We emerged back out to the cars to get back home in oodles of time for afternoon tea. – Ian. 8. 16/3/2011. Trampers. Chalkies, Boulder Hill, return. Medium. 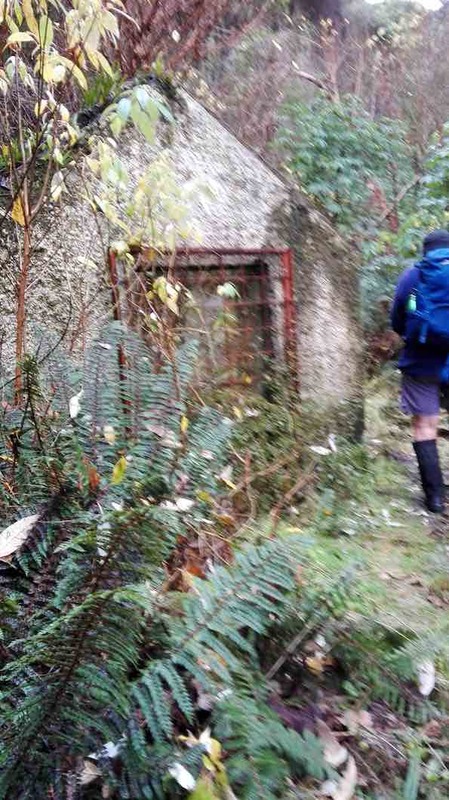 This walk replaced the scheduled Possum Hut one. Plenty of rain the day before had ruled out attempting the track in from Mountain Road, dangerously slippery when wet. Three recent new members augmented the group to 8, a good number. The ford by the pumphouse was slightly up, rewarding some with thoroughly wet feet right from the start. 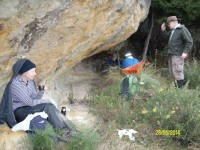 We climbed the (initially steep) track on the true right of Dodds Gully to the bivvy near the top. At the top, the trip beside Powder Hill across to the road beyond was more than usually sloshy. The firmer road was welcome. It’s straight route took us across to another coming up from below that led us briefly up over a brow to its end. 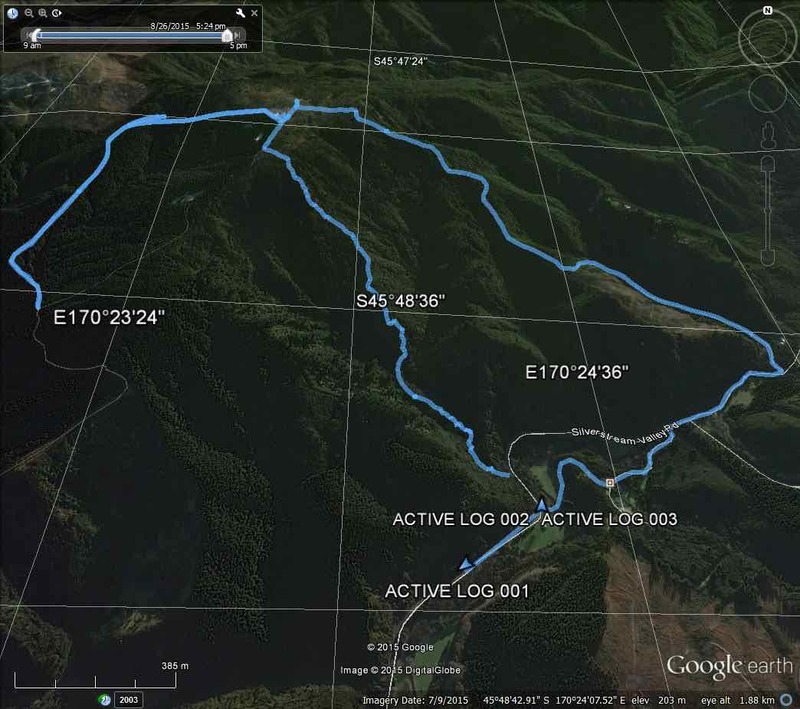 Then down and across to a contoured track around the base of Boulder Hill that emerged onto the forestry road coming in from Long Ridge that took us up to its summit. Returning the way we had come we almost missed two turn-offs. 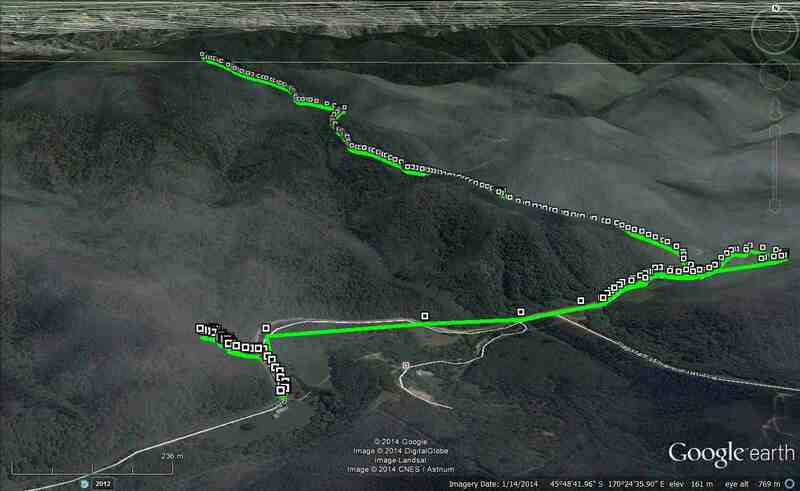 The first was onto the contour track and the second was onto the straight road that led back across to Powder Hill. Thanks in both cases to Ken’s GPS tracker for rescuing us. This time we climbed the short distance to Powder Hill’s trig. Back at the top of Dodd’s Gully, we elected to take the true left track down. Sun had dried exposed parts of it making for good grip, but in the bush there were too many slippery roots to manage to avoid all of them! 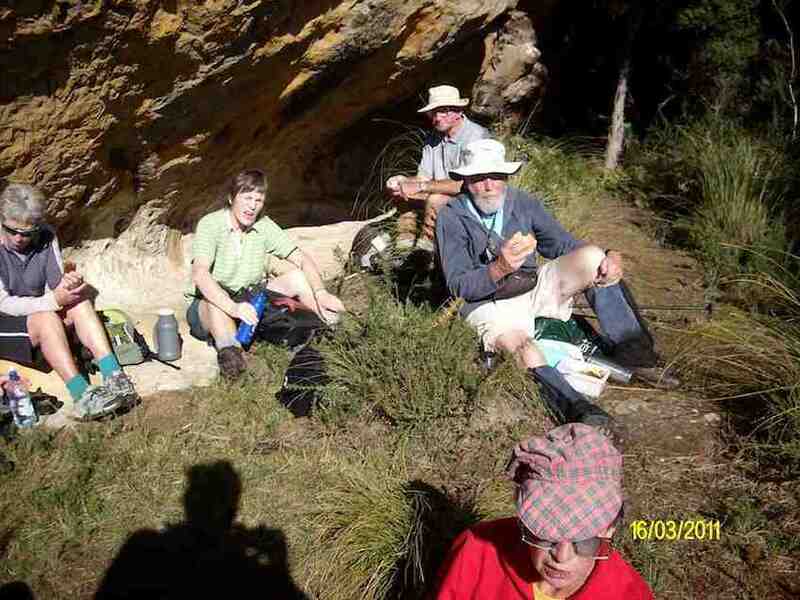 There were teasing occasional views across to the sandstone faces of the gully. Apart from one or two slips, we made it down safely and returned back to our cars and homes in time for a late afternoon tea. – Ian. 7. 26/3/2008. Trampers. Leishman, Chalkies. Medium. Doug M, Leonie. 6. 18/4/2007. Trampers. Chalkies, Boulder Hill, return. Medium+. Leaders: Tash, Ian. 5. 23/11/2005. Trampers. Leishmans, Boulder Hill, Chalkies. Leaders: George, Doug J. 4. 4/5/2005. Trampers. 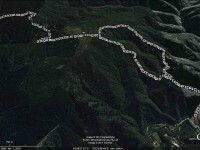 Leishmans Track. Leaders: Graham, Arthur L.
3. 15/5/2002. Leishman – Chalkies. Medium. Leaders: Ian, Bill and Pat. 2. 14/3/2001. 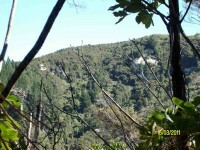 Leishman Falls Track. Leaders: Claude, Pat and Bill. 1. 17/11/1999. Leishmans Yellow Ridge, Chalkies. Leaders: Claude, Ian, Myrie.